Within the Marvel Universe, heroes soar high in the skies, ready to battle the villains who threaten their world. Yet living in the shadow of these extraordinary icons are ordinary men and women who view the ‘MARVELS’ with a mixture of fear, disbelief, envy and admiration. Among them is Phil Sheldon, a New York City photojournalist who has dedicated his career to covering the exploits of the Marvels and their effect on humankind. 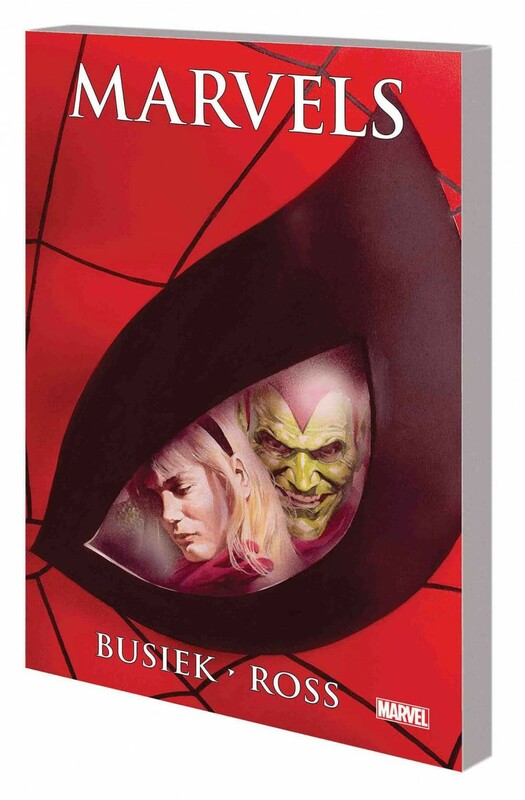 Written by Kurt Busiek and masterfully illustrated by Alex Ross, Marvels presents a richly painted historical overview of the entire Marvel Universe, spanning from the 1939 debut of the Human Torch to the fearsome coming of the world-devouring Galactus - and culminating in the shocking death of Gwen Stacy, Spider-Man’s first love.